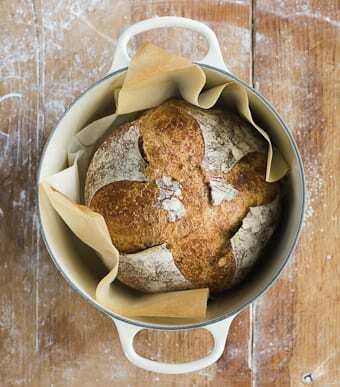 Have you purchased your copy of Artisan Sourdough Made Simple? I have to tell you, I am so proud of this book. From morphing my ghetto-fabulous kitchen into a full time bakery, to writing endless chapters out of my bedroom with a cat perched on my lap, and scouring the internet for vintage props until 2 AM (from Tasmania to be exact- I found a great shop on Etsy! ), every single moment of this project has been painstakingly worth it. Because this book was a journey of the heart. It was also a labor of love. And as cliché as it all sounds we do strange things for love. It pushes us out of our comfort zone in pursuit of curiosity, excitement, and mystery. When you strip it down to its very core, in my opinion that’s what sourdough is all about. It’s always been a dream of mine to write a beginner’s guide, and to represent those eager to get started but confused about where to begin. That was me! 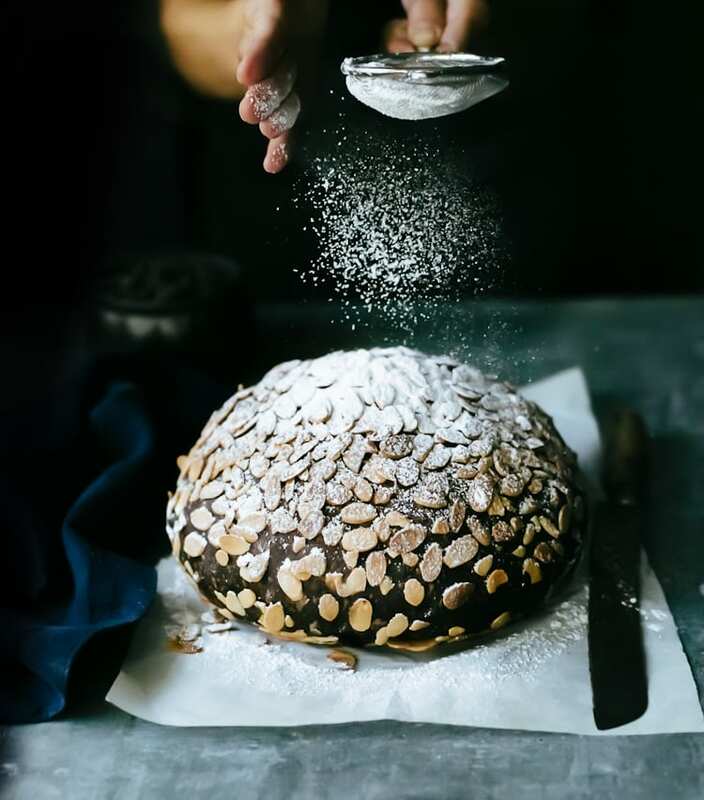 My goal with this book was to simplify the process while staying true to the art, making it more approachable for both beginners and seasoned bakers alike. And now, what started as a dream is your new go-to guide! 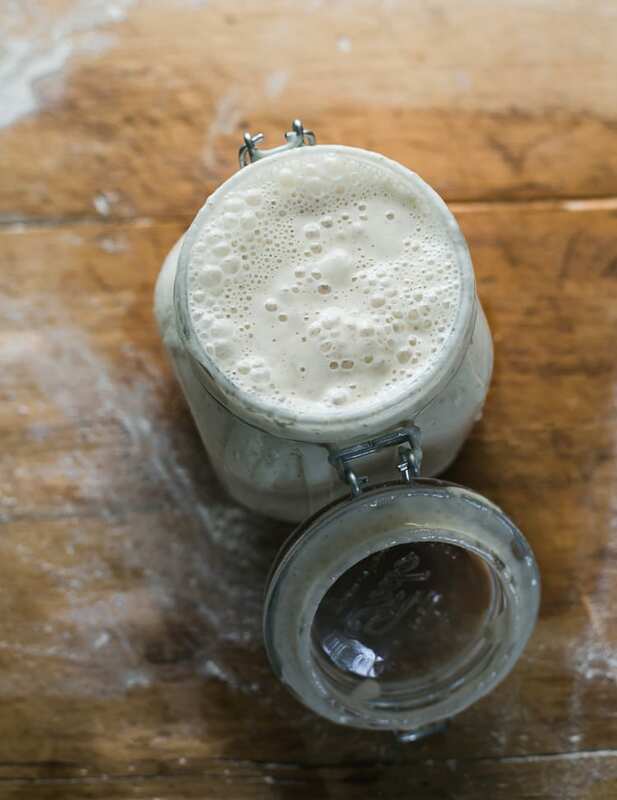 The number one question I’ve been asked over the years is how to create a sourdough starter. So, first and foremost you’ll learn how to make your very own starter to use with the recipes in this book (if you already have one, that’s fine too). Now, please, please, please don’t be intimidated by sourdough starters. Somewhere along the line they’ve earned a diva-like reputation requiring all sorts of time and attention. It doesn’t help that every baker has a different way of doing things which makes it even more confusing. But I want you to understand something: there are NO rules with sourdough, just guidelines and my hope is that this book will streamline the process. Just go at your own pace. Be kind to yourself. And, if there’s a little voice inside your head trying to grab your attention, do me a favor: listen. Sourdough is part science (oops, I almost wrote silence) and part intuition. If you hang onto the recipe too tight you’ll miss all of the beautiful signs along the way. Once your starter is bubbling and ready to go, so are you! My Everyday Sourdough is a great place to start your baking adventures. This is my basic go-to recipe. The dough is easy to handle and the instructions are straight forward and simple to follow. 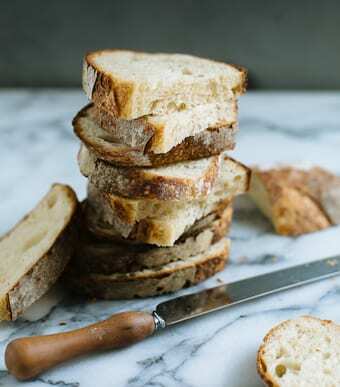 If you like sandwich bread, another suggestion would be my Country Farmhouse White. I make this every week for my family and it literally lasts for one day, tops! My editor has made it several times too, and her husband likes it so much he told her not to make anything else! All of my doughs are essentially ‘no-knead’ and benefit from a convenient overnight rise. This is the easiest way to work sourdough into a busy, modern schedule. The measurements are listed in both grams and cups. I prefer to weigh all of my ingredients on a kitchen scale for consistent results. However, I understand the metric system can be a point of contention for some people so I’ve included the approximate volume amounts as well. Decide what’s best for you! I use King Arthur Flour. This quality brand is excellent for baking and is available at most grocery stores in the U.S (you can also order online). Use this flour as a starting point if possible. I also like Trader Joe’s all-purpose flour which I use to feed my starter- it goes crazy for it! If you don’t have access to these flours, choose another quality brand that is unbleached and chemical free. Additional chapters include: Recipes for Leftover Sourdough Starter, Whole-Grains & Specialty Flours, Sweet & Savory Artisan Loaves (make the Decadent Chocolate Chip- yum! ), Pan Loaves, Focaccia, Bread Art and so much more. Worried about shaping techniques? 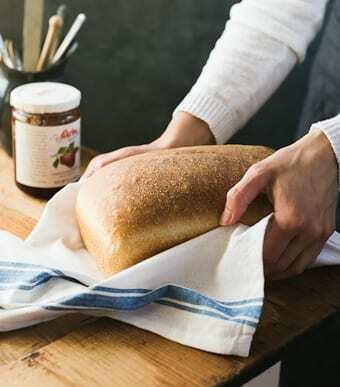 In the back of the book, you’ll learn simple ways to shape round and oval loaves, rolls, and sandwich bread. You’ll also learn different types of scoring patterns for when you’re ready to go all Picasso on your bread. Each technique includes plenty of step-by-step photos so you’ll know EXACTLY what to do. So glad you asked! This book is available in the U.S & Internationally. When you pre-order now, it will be shipped on October 24th 2017 which is my publication date. Plus, it’s currently offered at the lower pre-order price so grab a few copies for holiday presents ;) And don’t forget to share this book with all of your baking friends! And of course, where ever books are sold. I’m incredibly fortunate to have written this book. I really pushed myself to create approachable, yet inspiring recipes while anchoring myself to the moment and remembering to make it fun. Sourdough is a tradition that is meant to be shared and I can’t thank you enough for all of your kind comments, pictures, and feedback over the years. I’m excited to see what you bake from this book! On a personal note, I wouldn’t be where I am today without the encouragement of my dear friend Celia. 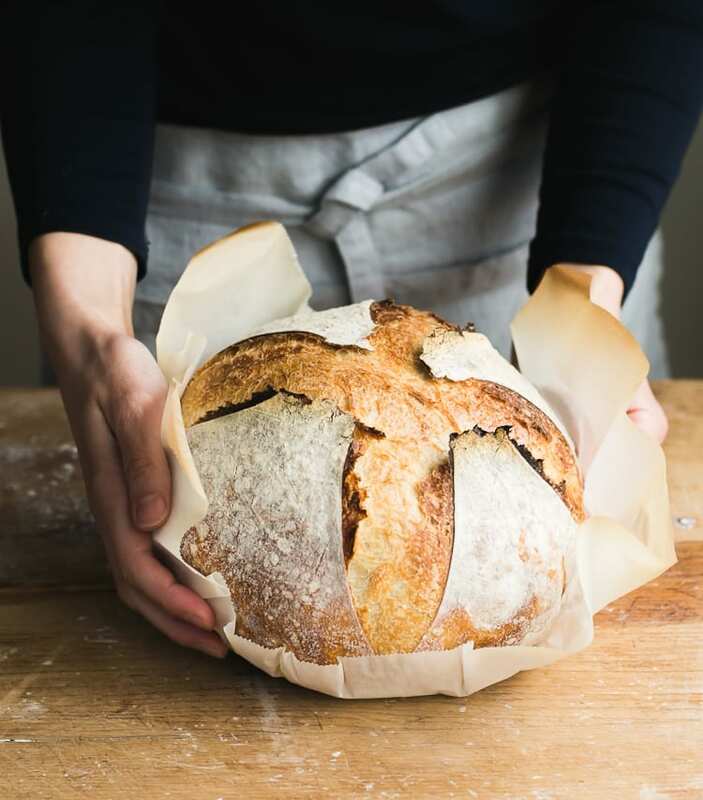 She spearheaded my sourdough journey and her spirited zest for life has inspired to me live out loud, write from the heart, and most of all bake from the soul. To a friend I’ve never met in person (but have known for many lifetimes) I am forever grateful for her infectious enthusiasm from the bottom of my heart. I mentioned earlier that this book was a journey of the heart, remember? When you have a minute take a look at the front cover of the book (about 3 o’clock). Do you see it? Two slices of bread form a little heart right there in the bowl! I didn’t even realize it! My mom’s friend Nancy pointed this out. Someone once told me that the best things are always hidden in plain sight. And that my friends, without a doubt is the magic of sourdough. I pre-0rdered a while ago, and look forward to it! I LOVE sourdough but have been scared to make my own. Just pre-ordered your book. So excited!! I pre-ordered the book when it became available!! I will have two copies, one to cherish and one to gift! Congratulations Emilie! It is an amazing accomplishment. … and as I tell you offline, online or on video support: I believe you have magical superpowers! Are these photos from your book? Wow gorgeous! Can’t wait for the book. I always wanted to try baking sourdough but never thought I would ever attempt it. Looking forward Emilie!! Hi Jennifer! What you’ve described is actually very common with sourdough. Most people think it’s too hard or that they don’t have enough time for it. But sourdough is just like anything else. Treat it like kids do and jump right in! Congratulations on this! It is the first thing on my Christmas list. :) Also I absolutely love that there is a heart of bread on the front cover without even trying. So sweet! Hello Emilie, Congratulations! I have been waiting patiently for the release of this book and look forward to it. I have been practicing my skills, but would love to learn more. Thank you! Welcome Carmen! I truly appreciate your support- thank you so much. Please feel free to reach out should you have any sourdough questions along the way. Happy baking! Congratulations, Emilie! 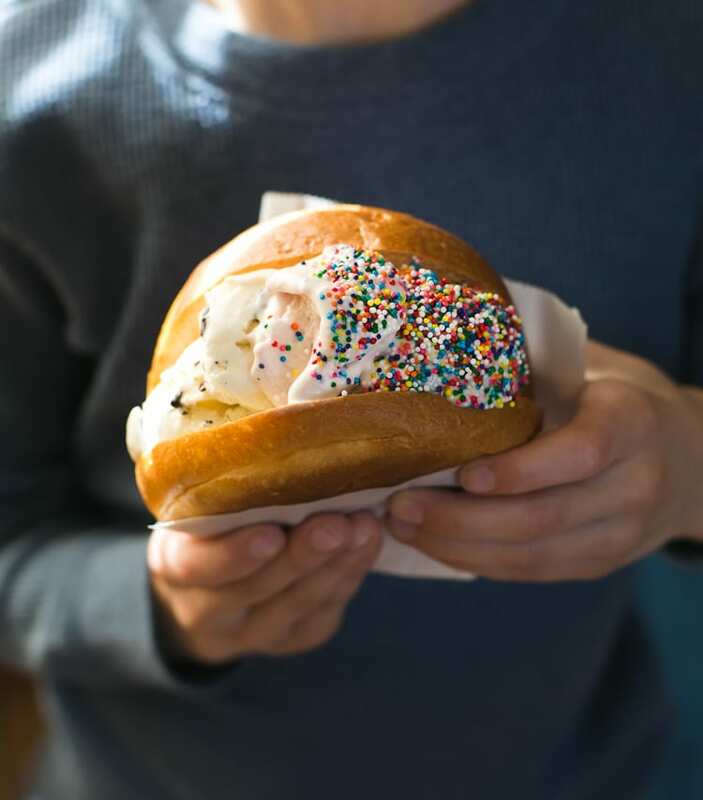 I just ordered one for me and one as a present for a bread lover. Thank you for sharing your passion. I just pre-ordered on Amazon. Looks GORGEOUS! I make sourdough every Sunday, with two bakes a week. I can’t imagine not having homemade bread available. It’s so easy but you’re right, others seem intimidated. I’m glad you’re putting out the word! And excited to see your recipes and stories. Hi Jim! Wow! Thank YOU! I really enjoyed making this book- from the baking, to the late night testing (and eating, oh my goodness), and photography, it really was a journey of the heart. And a good journey that is! I am grateful for your support. 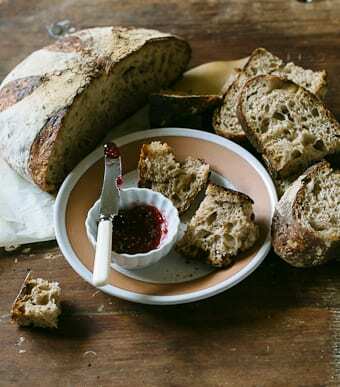 Sourdough and homemade bread is one of the best gifts you can give to yourself and family. I couldn’t imagine it any other way! I do hope you enjoy the book! Are the recipes good for gluten free flour? lots of “can’t wait to try them” recipes. Congrats on a wonderful book on sourdough! I’m making your everyday sourdough from the book right now! It’s on its final rise and it just occurred to me that my cast iron dutch oven might bake it differently because it is not enameled. Does it make a difference whether you bake in an enameled dutch oven or a basic cast iron dutch oven? Thank you so much for these lovely recipes! I can’t wait to try my first loaf! Love love this book! Trying out this weekend, just one question, when you say on the Everyday Loaf to bake the last 10 minutes directly on the rack, is that with or without the parchment paper? Thanks so much for the info and I am so excited to use my starter on its new journey! Hi Karen! Wonderful, thank you so much! A very exciting journey awaits you :) For the recipe, it’s without the parchment paper. I have just received your book and have been reading through the basic steps. I have noticed that you explain the stretch and fold method but do not mention it or include it in the steps of the Everday Sourdough recipe or the High-hydration Sourdough recipe. Should we use it in these recipes? Also on page 191 “How to shape oval loaves” The bottom left hand photo is not showing what the explanation is underneath – “with floured hands pull the dough towards you to tighten its shape” It shows a round banneton containing a loaf ready for final rise! Please could you post the correct photograph? Thank you for your note :) It’s not necessary to use the stretch and fold technique in the Everyday Sourdough & the High-Hydration Sourdough. 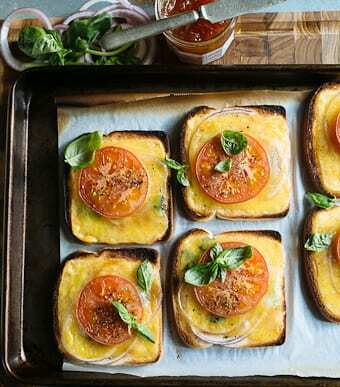 This technique was intentionally excluded from these recipes, specifically the Everyday Sourdough to promote a more hands off approach. 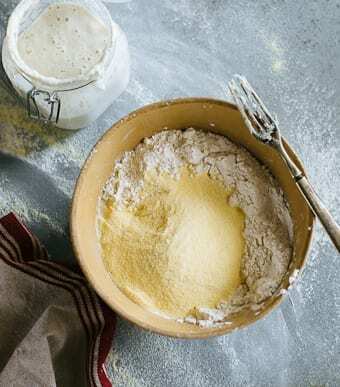 However, it can be applied as an optional step if you prefer, as indicated in some of the other sourdough recipes and in the “Sourdough Steps Explained” section. It’s up to you! Regarding “How to Shape Oval Loaves” unfortunately, as you have noticed there is an error. It was only brought to my attention recently, and I plan on posting the full section here on the blog! Thanks again for bringing it to my attention, and my sincere apologies for any inconvenience! Help! A friend gave me her starter, and your book. First attempt at your simple sour dough bread last night did not work. Woke up this morning and dough had not risen. I started again this morning. Everything looked ok (saw your instagram video and consistency was the same when I put it to rise. ), but it’s been 6 1/2 hours and dough has not risen, almost at all! I weighed all ingredients, yet something is off. The starter was very bubbly when I added it to the bowl of water….Not sure what went wrong, twice now? I’d appreciate any help. Thanks! Hi Linda! Thanks so much for your note! 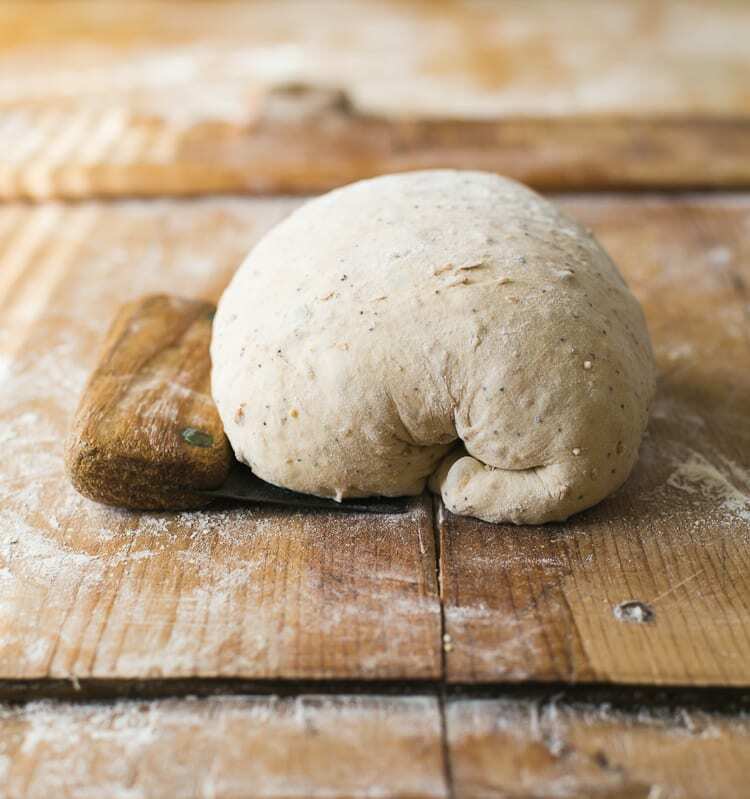 It’s hard to say without seeing the dough itself, or knowing the strength of your starter. However, it sounds like your room temperature is colder than 70 F which is associated with the approximate rise time in the book. If this is the case, the dough is going to take longer to rise especially in winter (which is very common). Don’t worry! There are ways to speed up the rise. First, please make sure to use warm water in your dough (if you’re doing this already, great!). Second, many people use their ovens to create a warm spot for the dough to rise. To do so, adjust your oven temperature to the lowest setting, then turn it off completely, and wait for the temperature to drop to 80 F (use an oven thermometer for indication). It’s important the temperature is not higher than 80-84F. Then place a covered, oven-safe bowl of dough inside. The heat will give your dough a boost to jumpstart the rise. It’s a great technique for chilly days. Hope this helps! I learned about you from Kaity @fareisle – she is a VERY good PR lady for you! 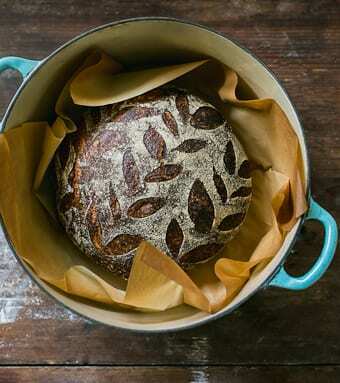 I have a longstanding love affair with sourdough – but I have always been afraid to try. It’s time to make my own bread. Your book arrives Friday!!! Your book made it to the Swiss Alps! Got it a few days ago and I really like it. Very nice pictures, beautiful layout and delicious recipes! Congratulations! Tried your Everyday sourdough bread with a bulk rise of 10 hours. But dough had not risen! I’ll try again tonight with a longer bulk rise. Do you know anything about high altitude baking? I live at 1´500 m/4’900 ft and wonder if the altitude could have any influence on the dough! Thanks for your help and happy baking from Switzerland! Hello Patrizia! WOW! That is incredible :) Thank you so much for your kind words. Glad to hear you are enjoying the book. For the bulk rise, timing depends on a few factors. 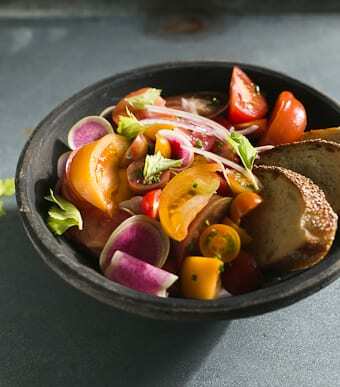 If your starter is vibrant and strong, the colder temperature is most likely slowing down the rise of your dough. Please see this post for more information on how to speed up the rise when the weather is cold. There are some great tips in the comment section, too. Regarding high altitude- this is a tricky one. To my knowledge, higher altitudes = shorter bulk rises. However, I would check out what the loaf looks like after you have baked it. Is the inside texture too dry and crumbly? Was the loaf flat and dense? These are typical signs of high altitude baking. I hope some of this info help! I saw your book ‘Artisan sourdough – Made Simple ‘ few week’s ago. I participied weekend class to learn technics of sourdough bread baking. I am very enthusiastic! The sourdough bread baking with wheat flour is quite new in Finland. We have a long history of baking rye bread with this methot. I bought your book from Amazon and I love it! I recently acquired your book and have been excited tonise the recipes. However, i live in Singapore where it is a very humid environment and have been having trouble handling the dough in your recipes. An example is the baguette recipe. Do you have any tips or video that can help me with this? Thanks in advance. Humidity can really wreak havoc on your bread dough, making it sticky and difficult to work with. The key is to reduce the moisture; cut back the water (about 30-50 g to start) in the recipes. You might need to cut back even more depending on how absorbent your flour is. Another tip is to let the loaf cool down completely (after it’s baked) in the oven with the door ajar. This helps to prevent a soft, leathery crust.